Planning a wedding is definitely a task no one person wants to undertake. There are so many variables to consider and a possibility of many disappointments. This is even multiplied by the task of providing entertainment. Do I get a DJ? Do I get a live band? What will people think? Will they enjoy themselves? 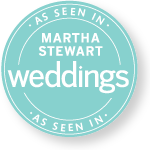 These are all questions to consider to provide an ideal wedding not only for you, but your guests as well who are privileged enough to share your most cherished of days. We chose the latter. I, the very lucky groom, am a professional musician myself. So the obvious choice for me was live music. My wife and I had done an ample amount of research and had reluctantly narrowed it down to two. The first choice had a very appealing social media profile and videos. And being from out of state, we asked some questions regarding set lists and requests. Fortunately, we were very disappointed. Fortunately disappointed is an odd choice when making comments regarding entertainment, but we were to the definition, very fortunate. Randy was kind enough to grant us an audition via Skype. We had prepared a few requests and all were answered and performed beautifully. Suffice it to say, he was hired promptly after the audition. The day of our ceremony, Randy showed up before our agreed time to setup his gear and get situated. The agreement was for Randy to perform throughout the event and we could tack on more time if need be. Everything was perfect. He was great and only added to the awesomeness that my wife had spent so many months planning. So great in fact, that we asked for him to stay additionally to what we had agreed. The guests loved him, and more importantly my wife and I loved him. He even was kind enough to be in some of the pictures. Randy is one of the most professional musicians I have ever encountered and I would recommend him to anyone regardless of the event. Punctuality, professionalism and just a love for what he does are what make Randy great. We were lucky enough to share our special day with him and would love for others to share the same experience as well. Randy was a pleasure to work with. He was punctual, professional and very kind. I fell in love with his voice and style the first time I heard him play at a venue in Waikiki. I knew he was going to be the perfect fit for my wedding day — so I had to find out who he was. He sang while guests were being seated, while I walked down the aisle, during the reception and for our first dance. It was truly beautiful! He was also willing to direct guests and let them know what was going on which was a huge help. Before moving off the island we went and watched Randy perform every few months after the wedding — it never gets old! I would highly recommend checking him out. Randy was our reception musician and he did a great job. In addition to the live music he was able to accommodate a few requests we had for the entrance, first dance and bouquet toss. He kept everyone entertained the whole night and even took requests towards the end of the night and let some of the guests do some karaoke. 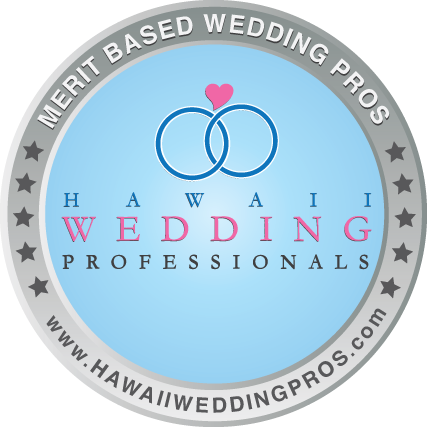 We would absolutely recommend him to anyone having a wedding or event on Oahu. Randy Allen is a very talented musician. His smooth vocals and unique style is what captures the audience. He is very easy to talk to and to get in touch with. He answers all my emails at record speed and very punctual. As the owner of Verse One Productions, I love to refer my clients to Randy Allen. I can rely on his professionalism and talent in which I know will benefit not only the bride, groom and their guests, but also our company. He is very versatile and will cater to your needs in terms of song selections. His services are great for Wedding Ceremonies and Wedding Receptions. If you’re looking for a solo musician that will set the mood of your wedding I would definitely recommend booking Randy Allen. Got married June 17, 2011 at the Oasis estate. HE IS THE BEST. At first we were really frustrated. Trying to find entertainment for our wedding was not easy being on the mainland trying to make wedding plans in Hawaii is kind scary. We were recommended to check out Randy Allen. I was weary at first because It is so hard to trust someones singing/playing skills without hearing them in person. I had checked out some music from this site. On the phone he was easy going and very willing to help you make your day special. He is very trustworthy and had no problems getting a hold of him. I had zero problems with Randy. I am so glad I booked him he sounds even better in person and plays music everyone liked. It was one of the best decisions to book him and he really made our day very special. I cant thank you enough Randy!!! Terrific Job Well Done! My husband and I would hire Randy Allen again for another event. After checking out his website, my husband and I found our wedding song that Randy sang at our ceremony. It was so beautifully done that we had to use it again for our first dance at the reception. There are no complaints, he sang and played with great taste and style, and my husband and I are very happy and blessed to have had him as our musician on our wedding day. I would recommend him to anyone in search of a musician for any occasion. Thank you Randy, awesome job!!! I am from California and was planning a destination wedding in Hawaii. I wanted a guitarist for cocktail hour and during dinner but didn’t want your typical “Hawaiian” style guitarist. My husband and I like old school R&B and current hits with a flare. I searched on theknot.com and luckily found Randy. As soon as I looked on his website and saw one of his videos I knew he was perfect and our style. I quickly booked him with no problems at all. He was amazing during cocktail hour and during dinner. All my guests were ranting and raving about how he came up with these amazing R&B renditions. One in particular I heard was “Every little step I take” by Bobby Brown, I turned to my husband and said he just made that song into a great sounding R&B jam. He is an amazing vocalist and guitarist and definitely knows how to set the mood right. After he was finished playing, all my friends went to go talk to him and they just adored his musical talents. Now that we are back home, everyone still keeps talking about how truly talented Randy is. I am glad all my guests were able to really enjoy him, whereas my husband and I were gone taking pictures most of the time so didn’t get to enjoy him as much as we would of liked to. If you are in need of a guitarist with style, Randy is who you need. He most definitely knows what he is doing. Randy, thanks again for making our celebration even more memorable. You are extremely talented and we wish you all the best. Our crazy party absolutely loves you! We will never forget you! Thanks again! Randy Allen is great! Our ceremony was meant to be at the beach with Randy Allen playing while we walked down the sandy path. But to our disappointment it was rained out. Randy Allen went to the ceremony site early to set up, and updated us with the weather report. He then had to pack up all his things and head back to the hotel (plan B) for the ceremony. He met with us to go over the itinerary and gave us suggestions that made the wedding that much better. He even learned our wedding song so he could play it while we danced our first dance. All of our guests were amazed at his talent and we received such good reviews. I would recommend Randy Allen to anyone! Music is everything to me. It has the power to transform an average moment into a a truly unforgettable memory. So when it came to my wedding day I knew I wanted to have a solo singer/guitarist at my ceremony. But I didn’t want just anyone, I wanted someone who sang with passion and had a variety of mainstream and island songs to choose from. Lucky me! I found Randy and he made my day absolutely perfect. I still remember arriving at the ceremony site and hearing him play IZ “Somewhere Over The Rainbow” for my bridesmaids to walk to and I nearly fell to tears! Every time I watch the video and hear Randy’s lovely voice I feel bouts of joy remembering what a perfect day it was. Thank you Randy!! I just got married in Sept. and I had originally booked another musician but to my disappointment it didn’t work out but Randy had offered to help and after hearing him play I quickly forgot my disappointment and was filled with new excitement! He was awesome!!!! Everyone at the wedding commented and kept asking me who he was and how great he sounded. I would highly recommend him if your looking for a musician. I hired Randy on the basis of a recommendation. He was so easy to work with. I personally did not want traditional songs, so a few days before the wedding, I just told Randy to play whatever he wanted. I had a sunset wedding, and his music was amazing. It went with the mood of the surroundings. All my guests loved him. Some of them even wanted to go to a lounge on another day to hear him play again! For anyone who wants beautiful music for their event, I would highly recommend Randy Allen! All I can say about Randy was how awesome he was to make sure my special day went off with out a hitch!!! Everyone kept saying how amazing his voice is. We used him for not only the ceremony but for the reception as well and he is AMAZING!!!!!! He was a crowd pleaser for all ages! I highly recommend him for any event! Thank you again Randy for everything!